As with all other plants, cacti require water and nutrients, taken in by the roots, in order to grow. This means that although cacti usually grow only in dry soils, they can also be grown hydroponically. Unlike many plants grown in water, cacti do not require the use of an active hydroponic system with a pump. The roots need only soak in the water and nutrient combination. This method offers several advantages over traditional soil growing. 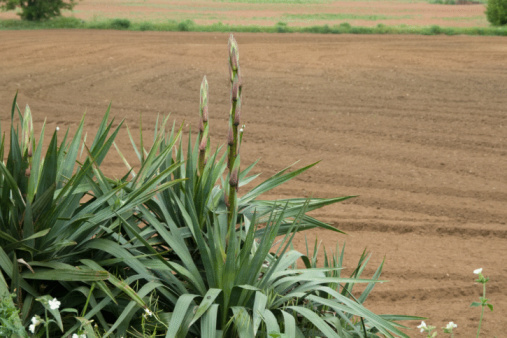 Nutrient and water levels can be controlled more precisely, contributing to greater vigor and health for the plant. Additionally, once the hydroponic system has been set up, taking care of the cactus requires much less effort than in other methods. Cacti can be grown in hydroponics just as well as other plants. Rinse the aggregate material and soak it in water for several hours. Place the mesh inner pot inside the outer pot. Cover the bottom of the inner pot with an inch of the aggregate. Remove the cactus from the soil and rinse the roots until all the soil has been removed. This will prevent the potential problems that can come with soil — such as fungus or parasite growth — from occurring. Be careful not to damage the roots. Place the cactus on top of the initial layer of aggregate material. Spread the roots evenly around in the space available. Fill the pot with the remaining aggregate. Try not to cover up the part of the cactus with spines, but make sure that enough material is in place to keep the plant stable. It should be grounded firmly, with no risk of falling to the side. Mix standard A- and B-type nutrient solutions with water to the level of concentration recommended by the solutions' packaging. Fill the pot or tray with enough of this nutrient and water mix to cover the roots. 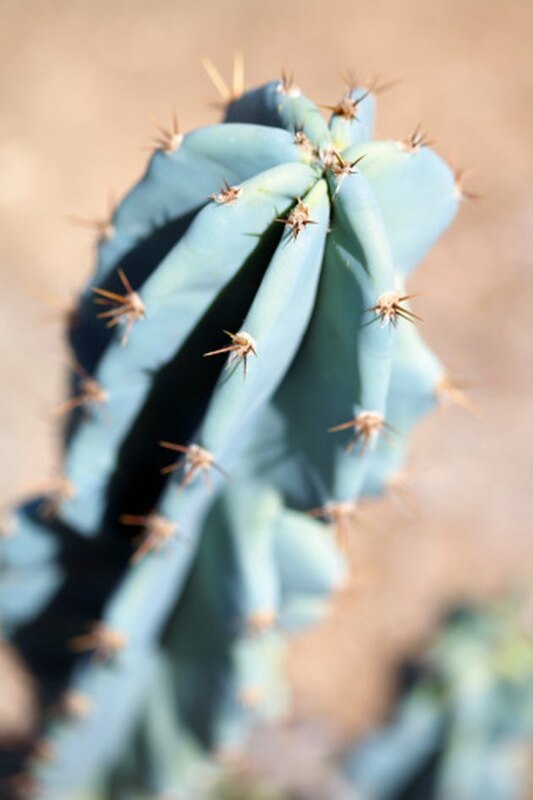 Avoid putting in enough water to soak the stem of the cactus; doing so will cause the plant to rot. 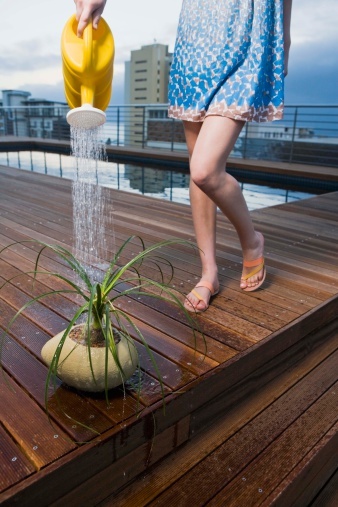 Remove the plant approximately every two weeks and wash the roots, making sure to wash away any dead or decaying roots. Wash the stem of the cactus as well to remove dust. Change the nutrient solution completely once every one to two months. Place the cactus in a new pot once its roots have filled the inner container. This will probably occur once every two to three years. There is no need to repot the plant unless this occurs. Gertrude Elizabeth Greene has been a freelance writer and editor for 10 years.Greene writes about a variety of topics including cooking, culture, nutrition, pets and home maintenance for websites such as eHow, GardenGuides and the Daily Puppy. She holds degrees in both philosophy and psychology. Can Succulents Be Planted in Gravel?